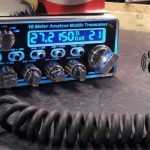 Realistic CB Radios to buy in 2019 : Check out the this! Are you a CB enthusiast like many of us? Wish to taste the experience of every CB of a different kind? Or perhaps, do you want to buy a good and powerful CB radio at low cost? Then I would say that it’s appropriate to look into Realistic Radios for the above-stated reasons. Most of those who have been using CB Radios since long know a bit about Realistic CB Radios. If you’re a newbie, I would suggest you have a look at them. This will help you in making a proper CB shopping decision. Having a good proportion of knowledge in different brands is considered a blessing. It’s important to peek into every brand to avoid cracks in our CB collection. We’ve done the same for realistic radios. Radios from the Realistic nowadays comes from the brand RadioShack. The latter is a popular and wide chain of stores for distinct electronic equipment. The radio is known for good performance for newbies and medium level usage. Hence, they aren’t greatly expensive. Nevertheless, you won’t be crying a river if you accidentally smack these against tiled floors. Once known for their quality products, the great Realistic brand is now nowhere in the picture. Let us have a look into the history of the brand. They came into the market as Realist in 1954 and they enjoyed a great year in the market during the 1970s. It was the time when the brand produced TRC Series CB radios (We have given an overview of them later in the article). Now the brand has entered into other products including speakers, ham radios etc. Let us make a small walk through the following radios provided by Realistic to understand their features. If you really want to buy them, I think you should check out your nearby CB stores or old CB radios available online. This radio from Realistic is 40 channel CB radio. It offers many different controls and switches. You can indulge with volume and squelch controls featured on the front. It incorporates easy readability with front display. 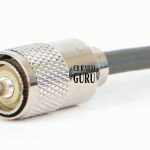 The RF gain control knob together with tone control adjusts your reception signal. Drive around the risky areas in the suburb with separate emergency channel switch. This radio offers 4 watts power output as termed maximum by FCC. When you talk over the pic, the ‘mod’ indicator lights up. It changes rapidly depending on your pauses and loudness. The microphone provides you perfect clarity resulting in good-quality transmission. Navaho TRC-492 is a good choice if you’re going for SSB radios. This radio has incorporated Uniden 858’s chassis with some modifications. Which is too awkward. However, the radio works good and comes with many features. You get to adjust the knob for volume and Squelch control. RF gain and clarifier offer good reception quality. What’s more? You get a chance to encounter different modes available (AM, LSB, USB). This radio is quite a very user-friendly having a giant knob to swipe channels. Try this one if complex gadgets tempt you to smash them against the wall. Perfect LED display and a readable meter demand just a glance. One specific detail about this radio is its accessibility. This radio produced for RadioShack in 1990’s had clean-swept the market. For this reason, there will be a number of users willing to sell their radios. The radio provides you many different knobs for different controls. These include Volume, Squelch, and RF gain controls. It also has noise reduction controls like a NB/ANL button. 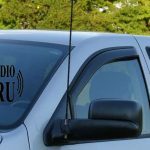 This Realistic radio gives instant channel switches for emergency and trucker channel. The LED meter is quite readable having 5 green lights with one red light for signal strength. You also get a modulation light that brightens up with the stronger modulation. The radio also provides jacks for PA and external speaker. Power your radio with either AC or DC with the corresponding switch accustomed to it. This radio by radio shack is a compact CB radio. Good for installing it to small spaces. Comes with front, big LED display. You can also shift to PA mode with this small CB radio. Both the microphone and the radio have up/down buttons for channel switching. The radio comes modulation-tuned with modulation adjustable feature. The radio offers Volume and Squelch controls as well. Get access to the emergency channel with its separate button. This can come handy for your course, off-road adventure rides. Many different types of CB radios manufactured by Realistic are available. The production of some radios has been stopped. 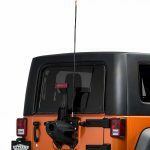 Getting a fresh Realistic CB radio might be a daunting task in the present scenario. However, they can still be bought from different suppliers thanks to overwhelming sensation in 70’s. Is there a “motorcycle helmet” headset that will work with my Realistic TRC430 unit? Any good motorcycle CB headset will work well. You can try using Kenmax headset, which is a nice buy.